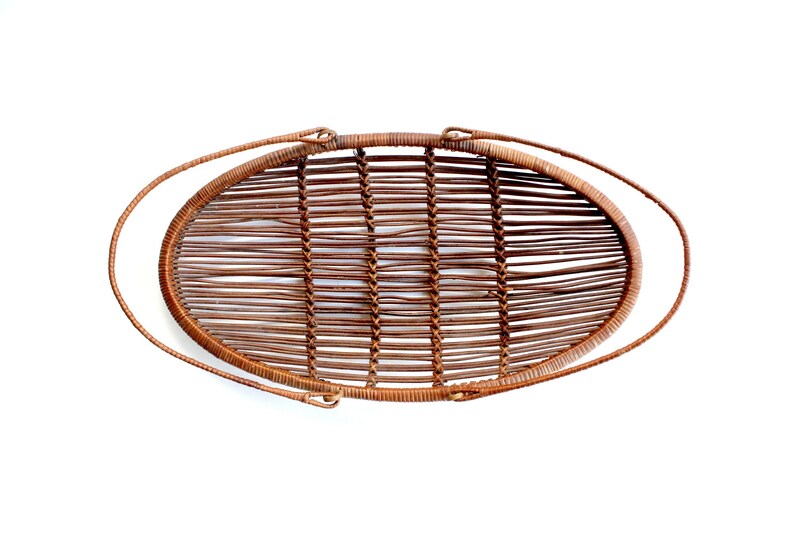 Vintage basket bowl/tray. 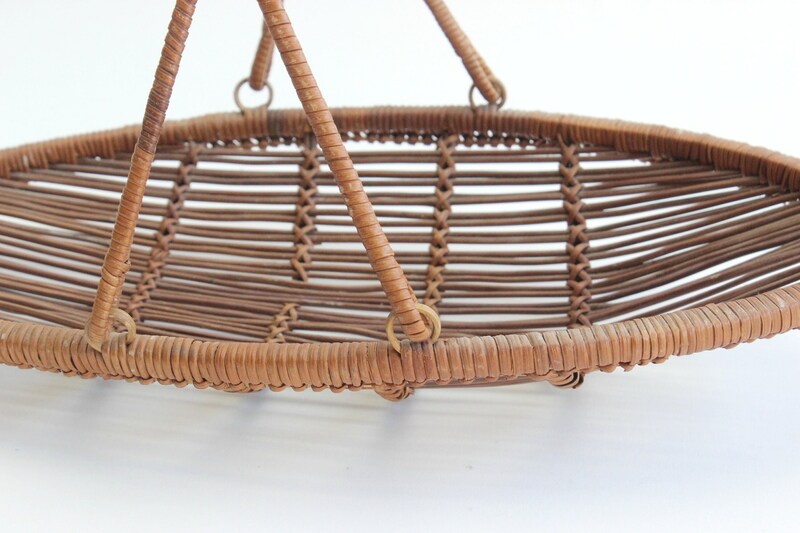 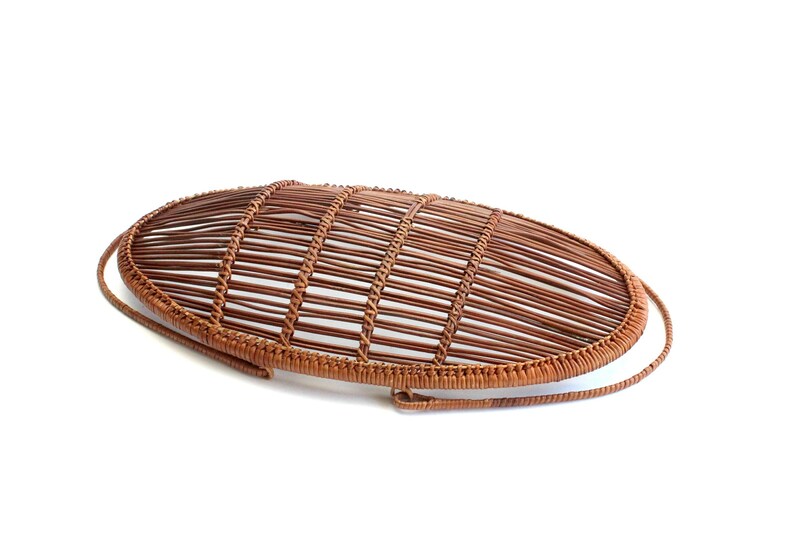 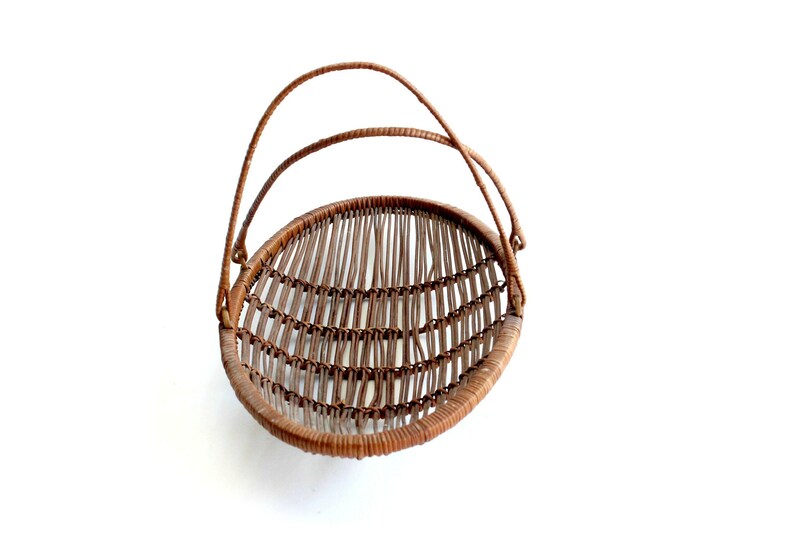 Natural woven oval shaped basket with two handles that fold down. 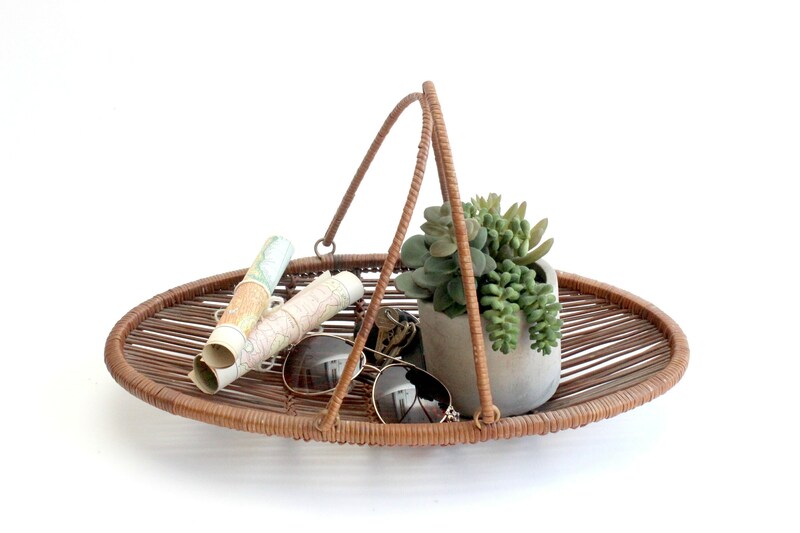 Shallow bowl perfect for keeping hand towels, books, and other small items. 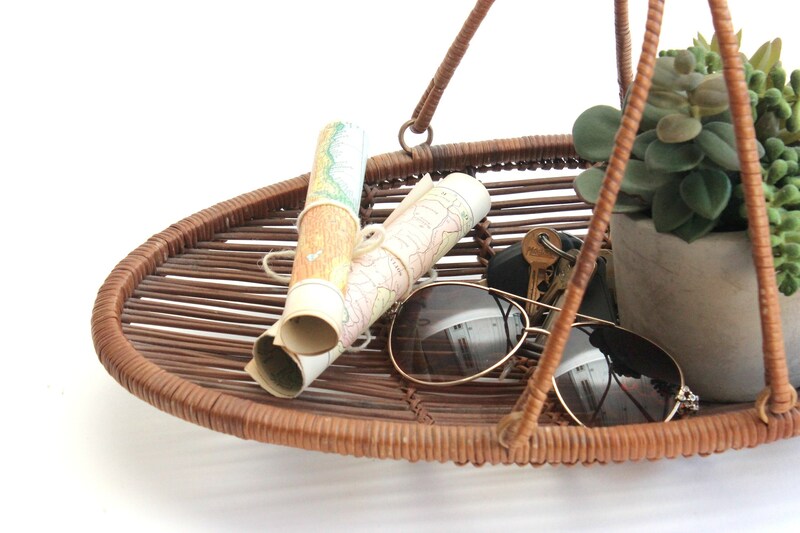 Also makes a great fruit basket. 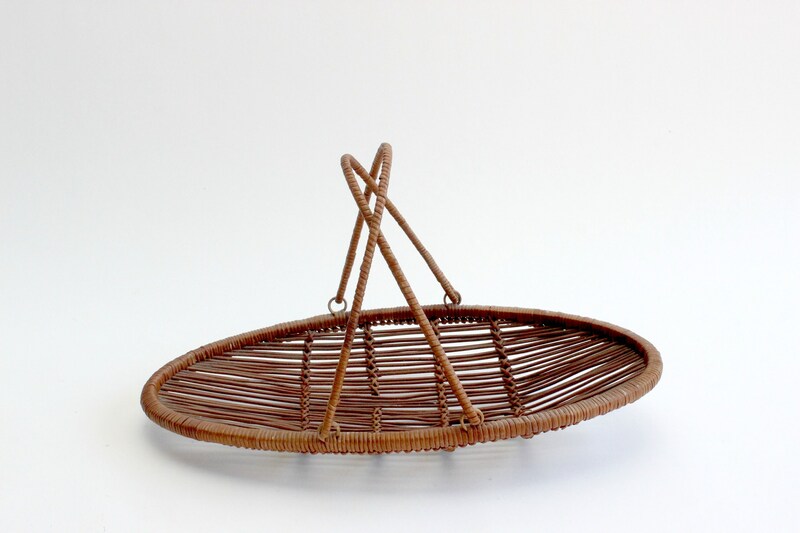 Measures 17 inches long and 9.5 inches wide and 9.5 inches tall when handles are raised.